In a comparison of 33 products by Consumer Reports, snack bars rated top for flavor include those containing whole foods like nuts and dried fruit as their main sources of protein and fiber. The bars that ranked highest for overall taste and nutrition also had few, if any, added sugars. Even natural sounding forms of sugar, such as agave syrup, fruit juice concentrate, honey and others are falling out of favor with consumers who understand that, while they may sound healthier than sugar, they still have the same drawbacks and should be limited in one’s diet. Including natural ingredients such as nuts and dried fruits in snack bars should be a consideration for food manufacturers that want to clean up labels and improve nutrition, but the protein levels of those ingredients alone may not satisfy consumer preferences. More than half of U.S. consumers say high protein is important when buying food for their households. Finding the right protein source matters. Just because a product contains high protein doesn’t mean it’s more nutritional. The Consumer Reports study found that snack bars containing natural ingredients received higher nutrition scores than those using highly processed soy, rice or peas as their protein sources, which can also contradict clean label trends. Furthermore, formulations using such ingredients often result in off flavors that need to be masked with added sugars which further negate nutritional claims. Formulating protein-rich snack bars that also boast natural ingredients and exceptional flavors doesn’t have to be a challenge. Grande Custom Ingredients Group offers whey protein ingredients that can meet the needs of food manufacturers. Add a crunchy texture while maintaining a clean, neutral flavor that complements other ingredients with whey protein crisps. As a natural dairy-based product, Grande WPCrisp is the highest quality non-meat protein source available, and comes in 50, 60 and 70% protein levels. It’s also available with natural dark cocoa. Another way to improve nutrition is by formulating with Grande Bravo functional whey protein to replace or reduce the use of full-fat dairy ingredients in cereal bars and baked snack bars. Use of this ingredient often improves the flavor and texture of applications and it can considerably reduce fat and calories which continue to be top-of-mind for consumers. An additional way to improve nutrition is with Grande Ultra hydrolyzed whey protein isolate (WPI). This product is often used in snack and health bars to significantly increase protein content while reducing the hardening of products over time as they sit on the shelf — a common issue with commodity WPIs. Extending and improving shelf life is a major factor in quality control and cost containment. Elevate your snack bars to the top of the list for flavor and nutrition by formulating with whey protein ingredients. Check out the resource below to learn about the various forms of whey protein and their applications. 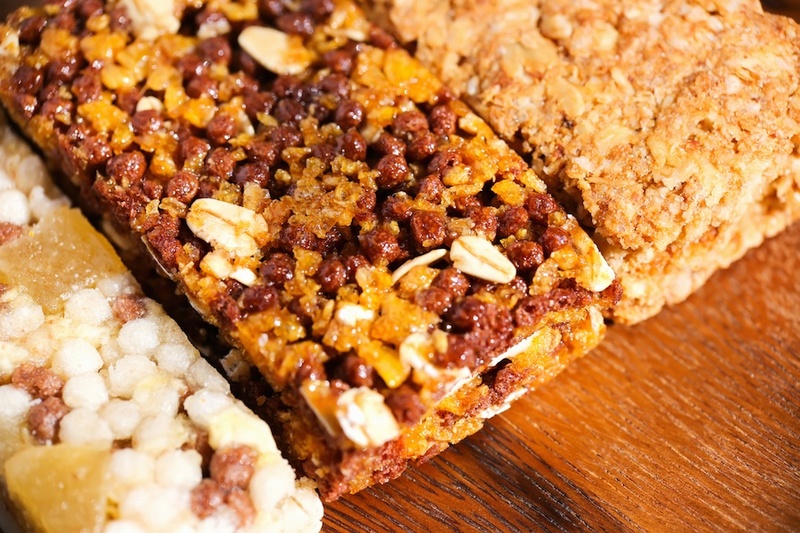 Then, contact the food scientists at Grande Custom Ingredients Group to explore the innovative ways these highly functional ingredients can be used in snack bars and other applications.